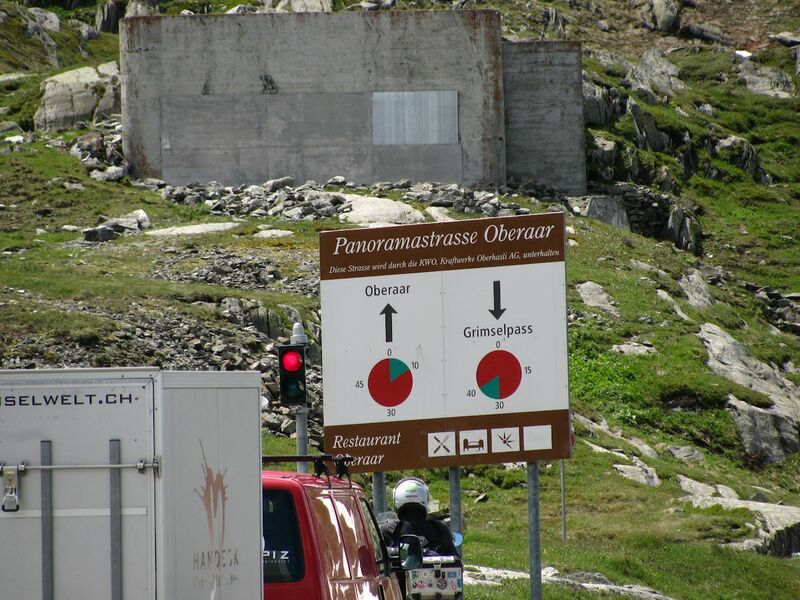 Das Loop #4: Grimsel Pass. Best Views in the Alps? 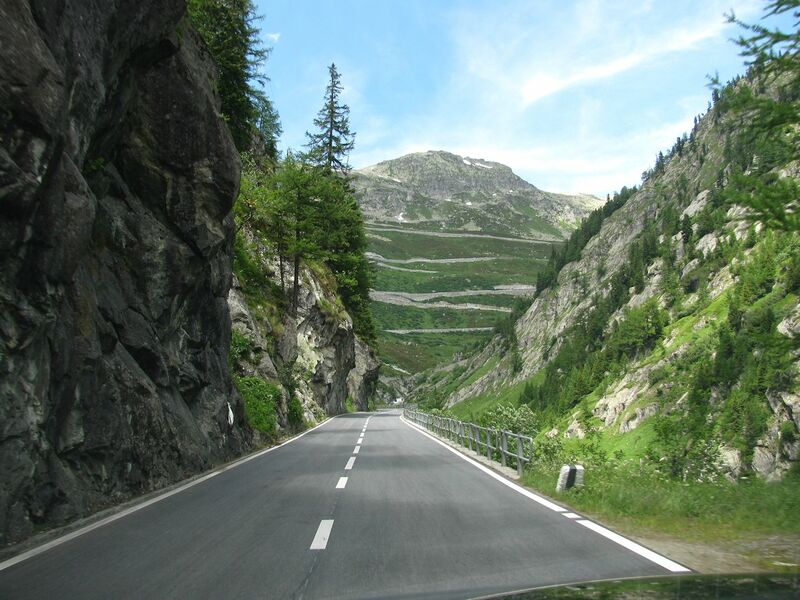 Grimsel Pass’s bark is much worse than its bite but there is much more to this road than just sheer drops and steep inclines. 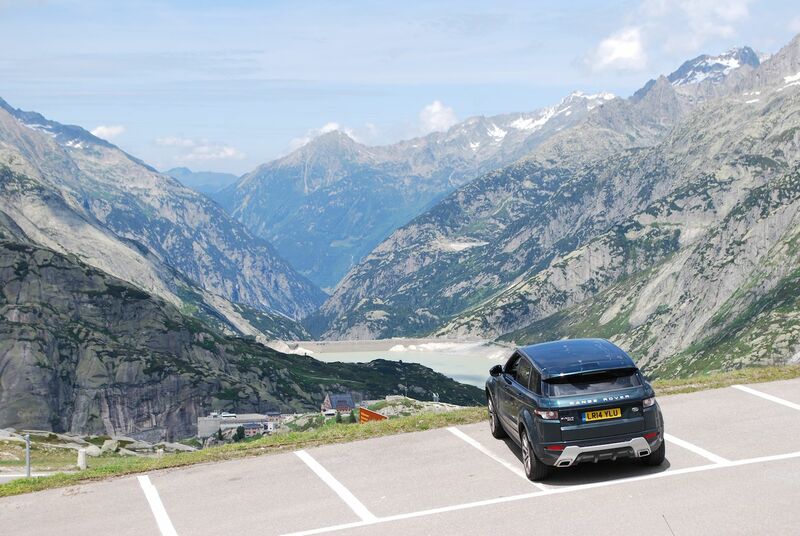 It has stunning views not just of the Swiss Alps but also of an illustrious near neighbour, the option to get even closer to the action, and some intriguing places to stop off and/or stay. Highly recommended. 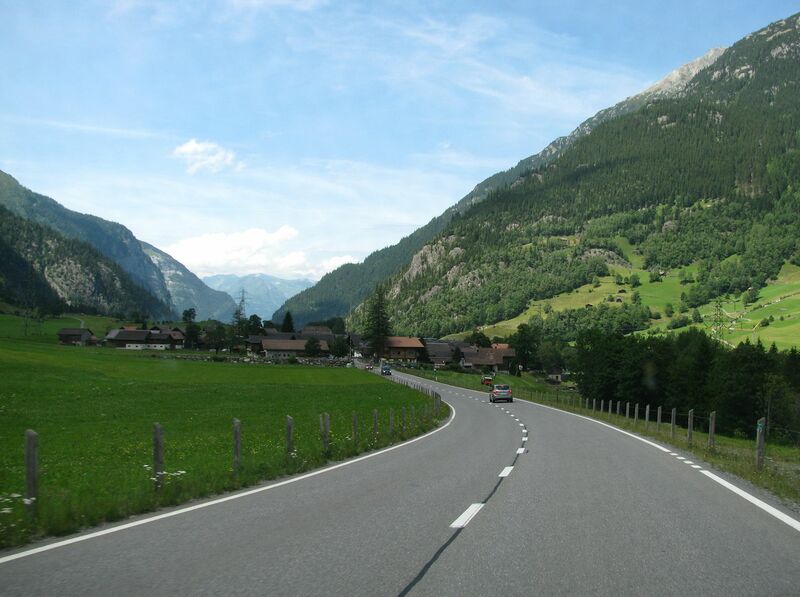 H19 north from Ulrichen is also known as Furkastrasse because it leads to the west end of the famous Furka Pass, at Gletsch. 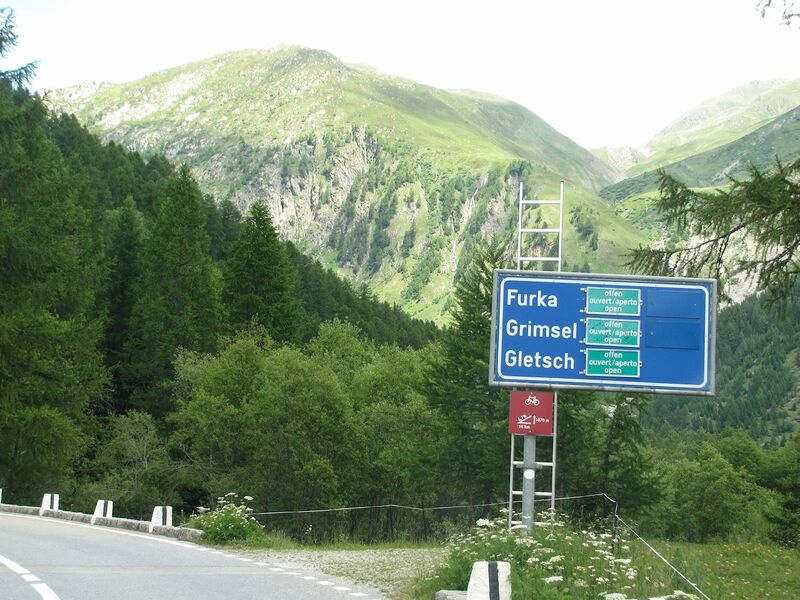 Also starting at Gletsch is the H6 Grimsel Pass (11%, 2165m). The initial ascent is less scary than it might look. Grimsel is neither that high nor, in the scheme of things, that steep. Luckily it has plenty of other things going for it. 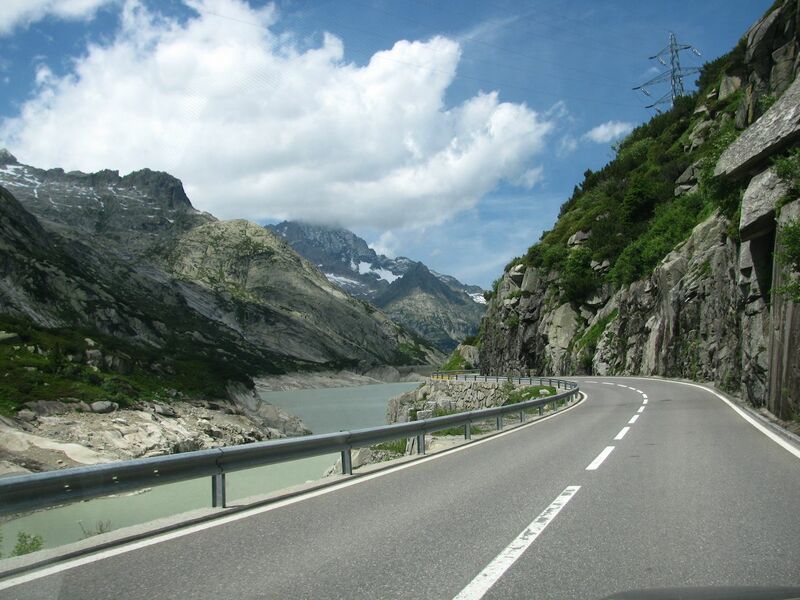 With Grimsel and Furka both starting from the same place you get great views of each road from the other. Centre top left is the Hotel Belvedere on Furka. More on that later. More Furka. Grimsel runs 20 miles between Gletsch and Innertkirchen, between Valais and Bern cantons, from the Rhone Valley to the Hasli Valley. It also marks the border between the Bernese Alps in the west and the Uri Alps in the East. Grimsel might not be that high but it is still ‘quite’ high. Time and again the heroic feeling of topping of a mountain pass is tempered by the number of trailers, motorhomes, trucks and full size coaches that beat you to it. The most marked transition and possibly best view of the entire trip. Below the ridge unseen is Grimselsee, a massive hydroelectric storage lake. The lake you can see is Raterichsbodensee, another reservoir. 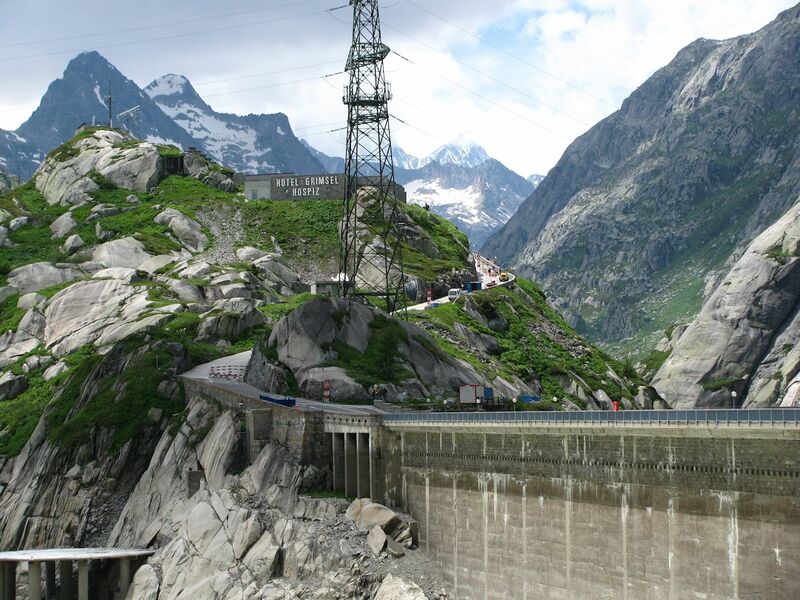 This is actually an industrial landscape, generating nearly 12% of Switzerland’s electricity. There’s also a long term on-going study on the best way to dispose of nuclear waste.. It still hurts to see this picture because we passed on the opportunity to drive the 6km Panoramastrasse Oberaar (open for ten minutes an hour in each direction, one way at a time). As well as driving the full 5km length of Grimselsee to the almost-as-big Oberaarsee, and an unimpeded view of Finsteraarhorn (see Nufenen Pass) you also see – according to the photos – two massive glaciers feeding into the lakes, one of which – Unteraar Glacier – is over 13km long. These are the source of the Aare River, the longest wholly in Switzerland at 180 miles, which feeds north into the Rhine on the German border via Bern. 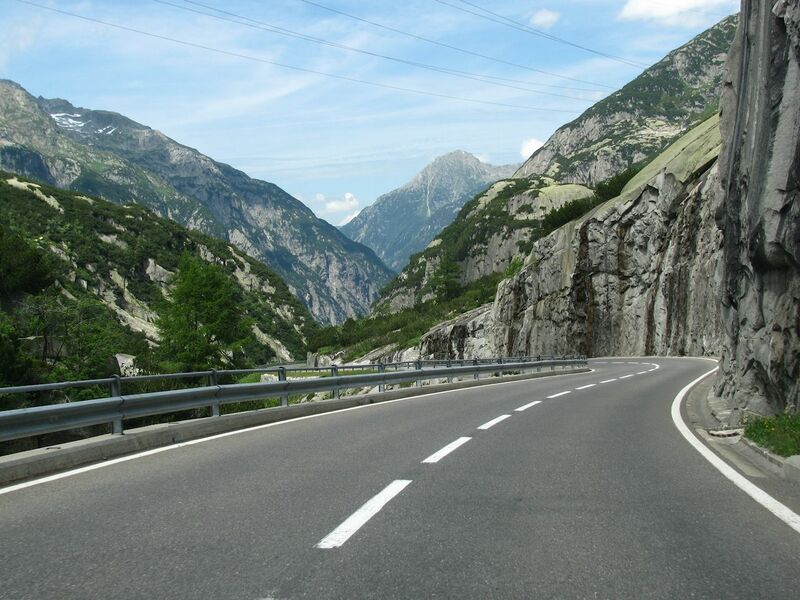 Virtually all the switchback action is on the south side of Grimsel Pass. The descent is quite straightforward, with a gentle slope. Still unable to track down, unfortunately, why the rock is this grey-green colour. It’s similar on Susten Pass too but we didn’t see it anywhere else. 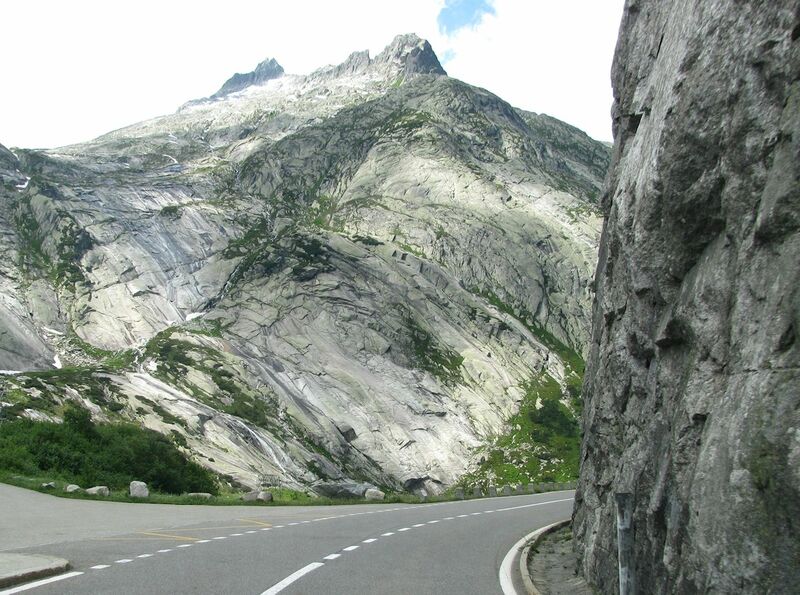 Up until 4 October 2001 the northern stretch of Grimsel was plagued by rock falls, mainly from an outcrop ‘Chapf’, 900m above the road. They were so disruptive the government decided poor Chapf had to be removed. The resulting 150,000 cubic metres of rock fragments raining down into the valley made it the biggest explosion in Swiss history. 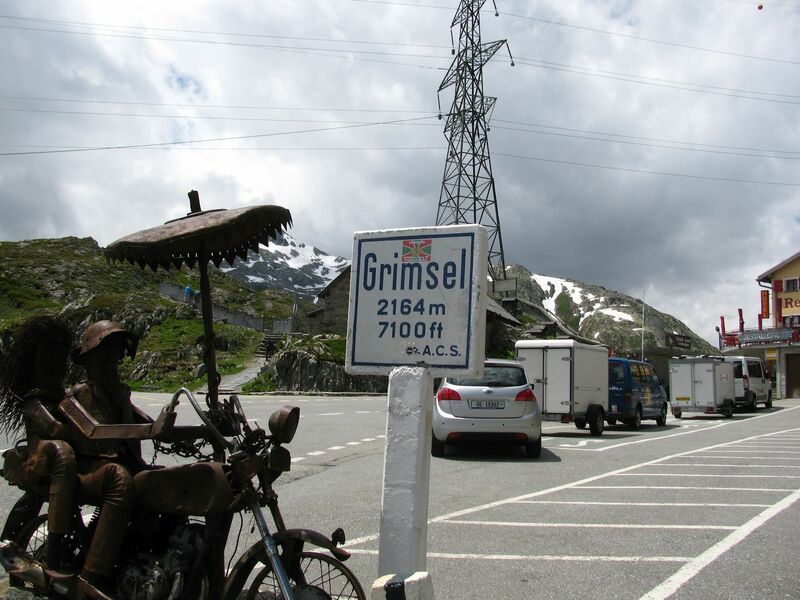 Grimsel goes on and on and on, like this for miles and miles. A firm favourite. The only town along the way is Guttannen. Just after at Handegg is the 106% Gelmerbahn funicular railway up to Gelmersee, handy if you haven’t had your fill of thrills on Grimsel. 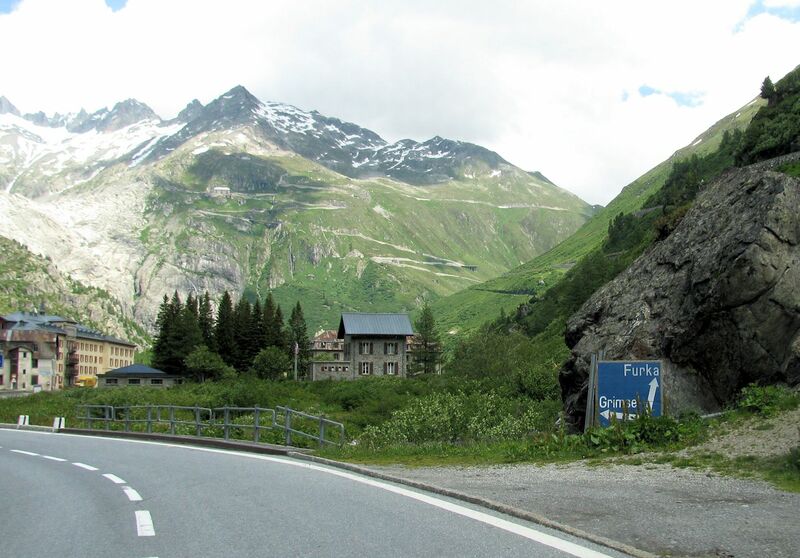 At Innertkirchen, either carry on for four more miles to Meiringen and the Reichenbach Falls – where Sherlock Holmes and Moriarty supposedly fell to their deaths – or turn right for Susten Pass. 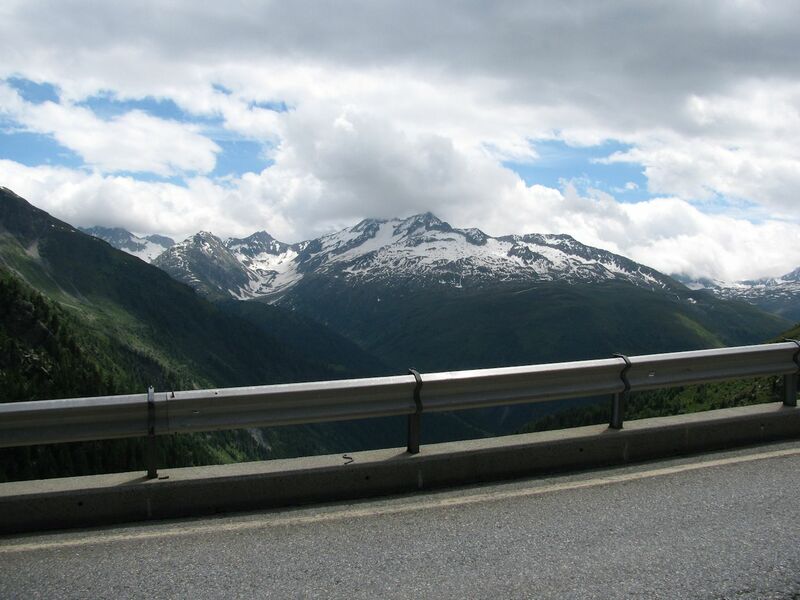 Grimsel Pass is the fourth road on ‘The Loop’, a route of six mountain passes centered on Andermatt in south central Switzerland. 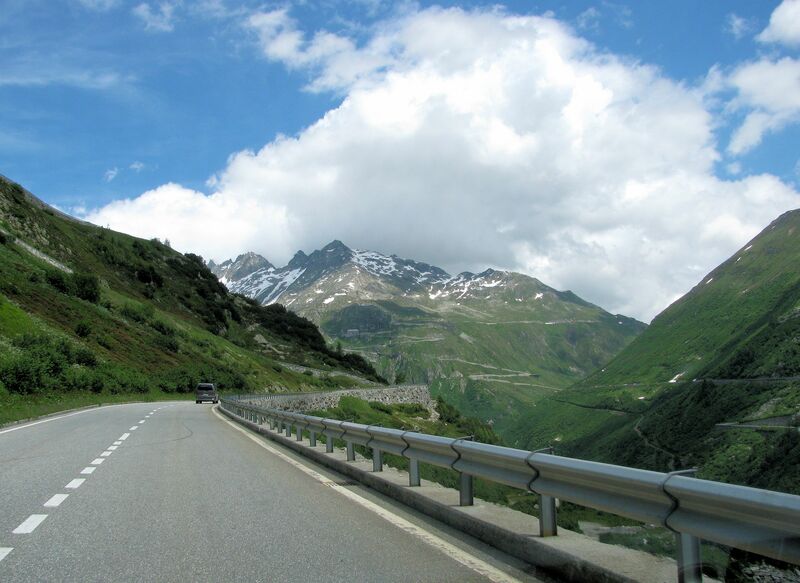 See here for Gotthard Pass and Tremola, Nufenen Pass, Susten Pass and Furka (coming up).